Firstly, it goes without saying that this release was a team effort, including input from the following people: Eugene Ryzhikov, Samir Hadzic, Henri Biestro, Dirk Lemmermann, Tomas Mikula, ‘Badisi’, Jean-François Henrard, and Danno Ferrin. It is due to these fine folks hard work that we have this release today! Secondly, the reason why this release is two months in the making rather than the usual one month cycle is that we decided to improve the ControlsFX sampler program. It is now more generic (it is a totally separate application now), and because of this we are able to support other third party JavaFX projects. 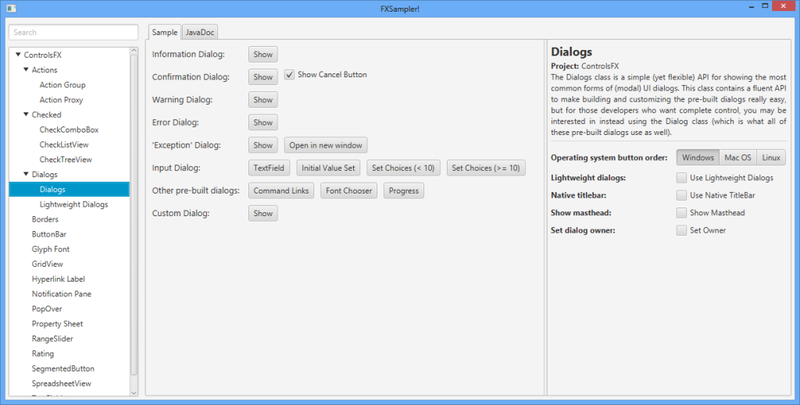 What this means is that other projects (such as JFXtras, for example) can now use the FXSampler app to demonstrate their own features, which saves them from having to write their own sample app. The ControlsFX team is more than happy to help other third party projects to make use of the FXSampler framework, just reach out to us in our Google groups. As of now the JFXtras team is already in the process of porting their samples to use this new framework. I wouldn’t call this the worlds most fascinating UI, but it is clean and out of the way, leaving users to appreciate the features being sampled rather than getting lost in the UI. Of course, we’re always happy to improve it if there are any feature requests. A PopOver with no content. Support for a date editor (see screenshot below). 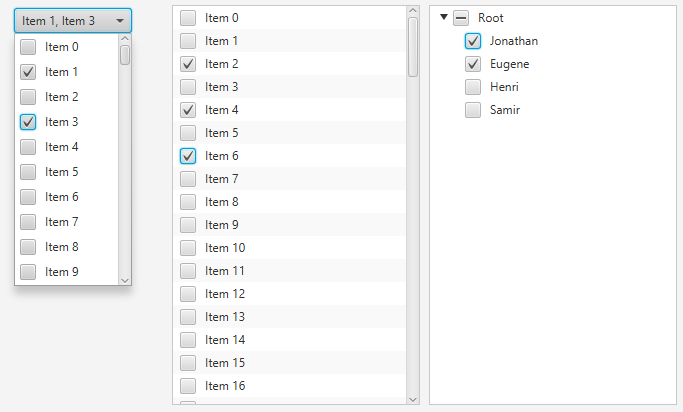 Support for hiding column headers (row headers have always been hidable). Support for specifying variable row heights. Improved performance (due to better column virtualisation). The API has been cleaned up further and revised. 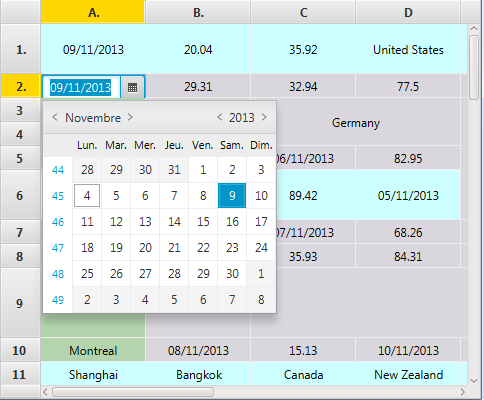 SpreadsheetView with a DatePicker showing. 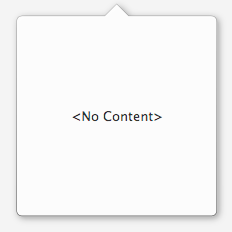 A single button with two borders. That’s it! If you’ve read this far, you probably should now jump over to the ControlsFX page to download this release. 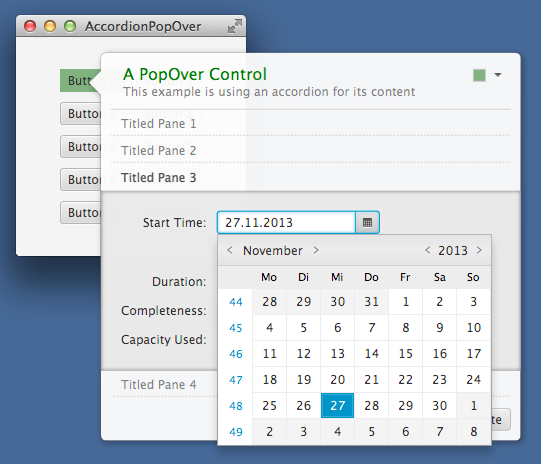 If you want to see other features of older ControlsFX releases, you can do that too! First off, I love that you are taking great pains to show these new controls, both in screenshots on the website and in the sampler application. I find this a lot nicer than the JFXtras project which, although it has some great tools, doesn’t have a handy web page showing what everything does before you try it. I think this more than anything has encouraged me to try out ControlsFX. I’d like to ask: is it possible to create a border with a title in it? Like how in Swing we can do BorderFactory.createTitledBorder()? Yes, titled borders are available. Seems like CheckComboBox.getCheckModel().selectAll() or select(i) does not work with Java 8b115. Well it does kind of work, but the selection is not being displayed, but handled correctly. Do I need a newer build for this or is this a bug? The newest Java 8 build adds a whole lot of other bugs for me, so I want to avoid this for now. Please file an issue over at http://issues.controlsfx.org – thanks!